The difference between a sweatshirt blanket and a sweatshirt throw blanket is the size. 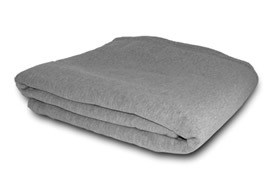 Sweatshirt blankets run in sizes that correspond with bedding dimensions; king, queen, full, twin and baby. A sweatshirt throw blanket (sweatshirt throw) is smaller than a twin blanket (but larger than a baby blanket), which is the perfect size to "throw" over your lap or shoulders. Regardless of the size, the words "sweatshirt blankets", "sweatshirt throws", or "sweatshirt throw blankets" are used interchangeably. Sweatshirt blankets are popular at sporting events, colleges and universities (especially when personalized with a team or school logo or mascot) which is why they are also called Sports Sweatshirt Blankets, University Sweatshirt Blankets or College Sweatshirt Blankets. Not all sweatshirt blankets are created equal; before you buy one, find out what the weight, dimensions and fabric content is. In addition to custom sweatshirt blankets, we also offer wholesale sweatshirt blankets. Our partnership with a major manufacturer and importer of sweatshirt blankets, gives us access to the largest inventory of high quality sweatshirt blankets in North America. We ship wholesale sweatshirt blankets from warehouses located in New York, Wisconsin, Colorado, or California; whichever is closest to you. For prices on wholesale sweatshirt blankets, university sweatshirt blankets, state sweatshirt blankets, sweatshirt throws & sweatshirt throw blankets, click here. 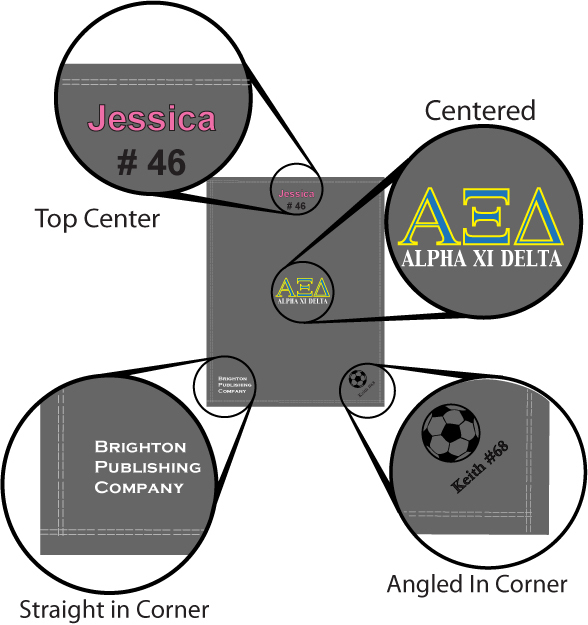 Custom sweatshirt blankets (also known as personalized sweatshirt blankets) make perfect gifts or promotional products because you don't have to worry about getting the correct size and they can be customized to please anybody's style. Custom sweatshirt blankets are offered by many embroidery, promotional products and decorated apparel companies. Crooked Brook is neither a decorated apparel or promotional products company; it is a label used by the atelier division of our art studio. Embroidery, embroidered patches, appliqué and tackle twill are not suitable for all logos or designs because more often than not, the artwork was designed for print. With print, letters can be much smaller and colors can be incorporated more fluidly than with embroidery, appliqué or tackle twill. Therefore, for some artwork, printed sweatshirt blankets are a better option and a lower cost alternative to appliquéd, tackle twilled or embroidered sweatshirt blankets. After we review your design or logo, sweatshirt blanket and quantity, we will discuss which method of customization is best for you. Custom sweatshirt blanket prices are determined by the weight, dimensions, complexity of the logo or design and the method of customization. Please be advised; when you buy a cheap sweatshirt blanket that is exactly what you get… a cheap sweatshirt blanket. Cheap sweatshirt blankets are dull, thin, lose their shape and pill after only a few washes. There are hundreds of promotional products and decorated apparel companies that offer "Cheap Sweatshirt Blankets", "Cheap Sweatshirt Throw Blankets", "Cheap Personalized Sweatshirt Blankets" or "Cheap Sweatshirt Throws". 3 e-mail us (info@crookedbrook.com) the information, artwork (logo, design or mascot) for a quote. • Logos, designs and mascots... e-mail us (info@crookedbrook.com) the artwork for a quote.